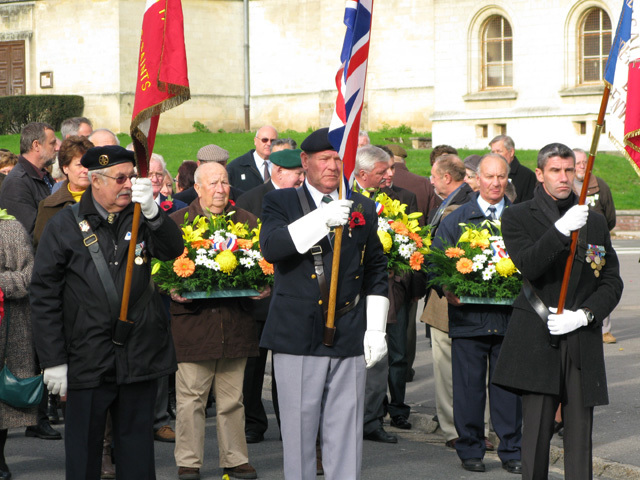 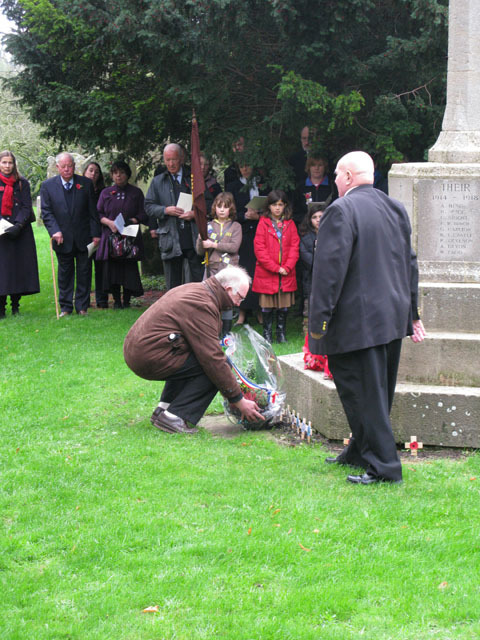 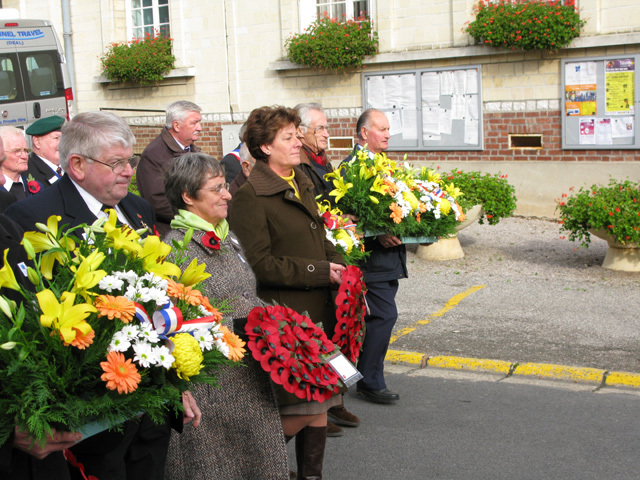 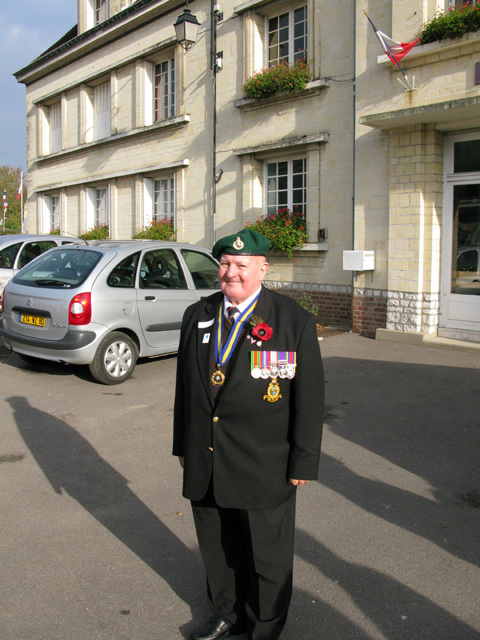 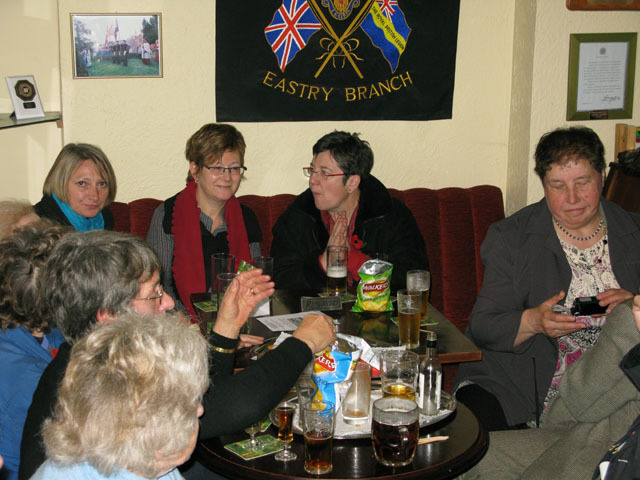 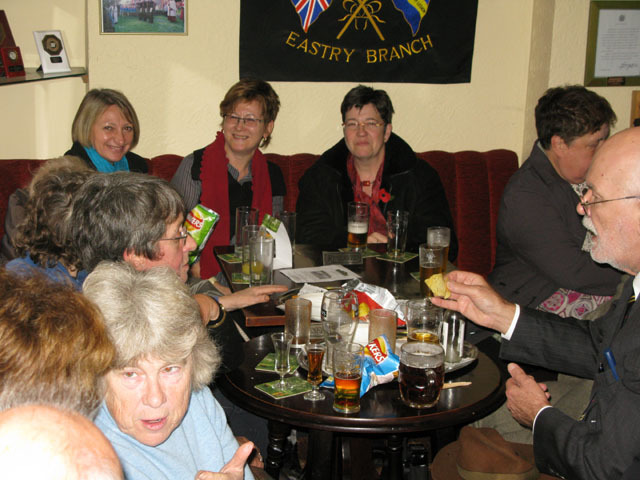 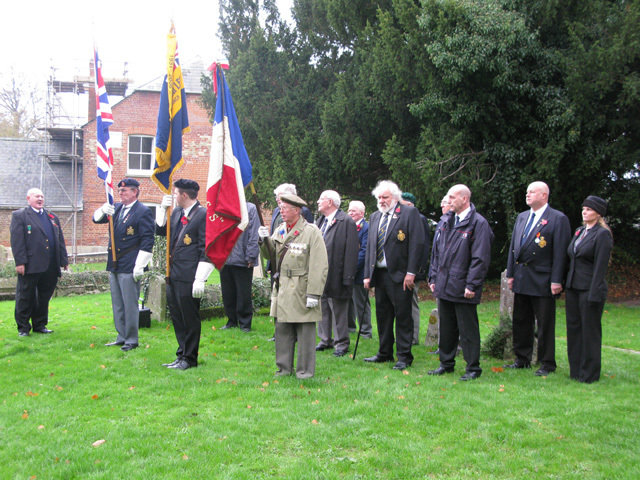 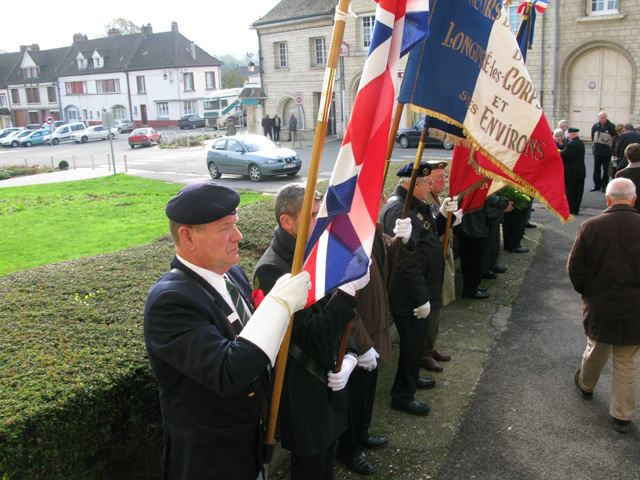 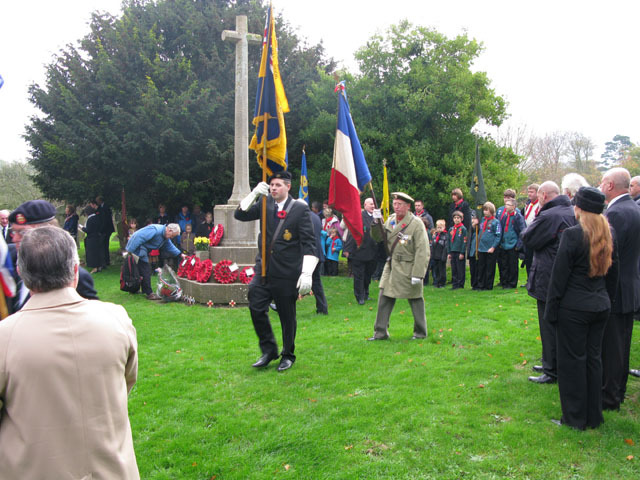 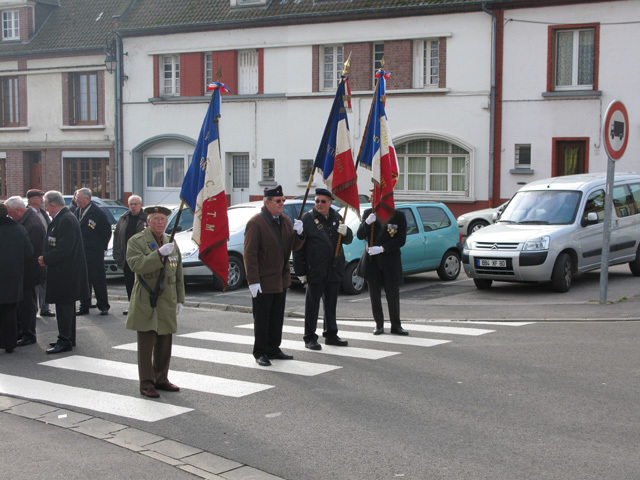 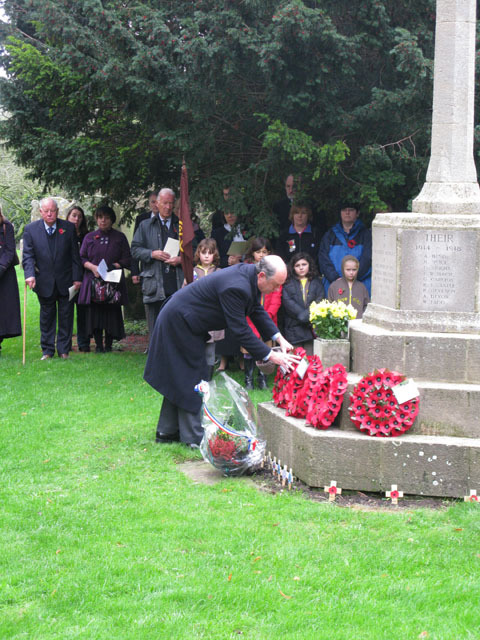 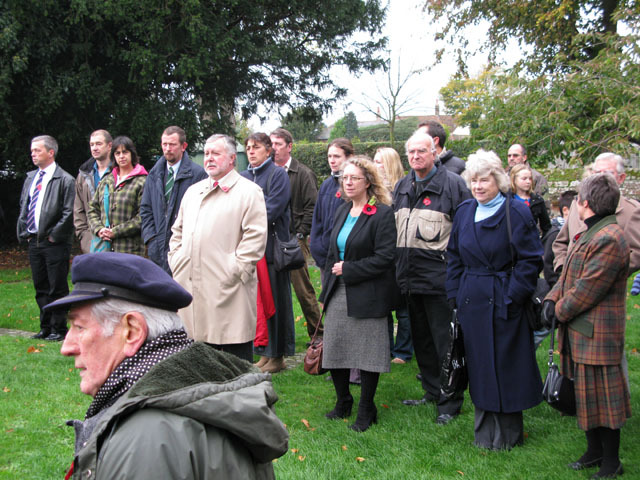 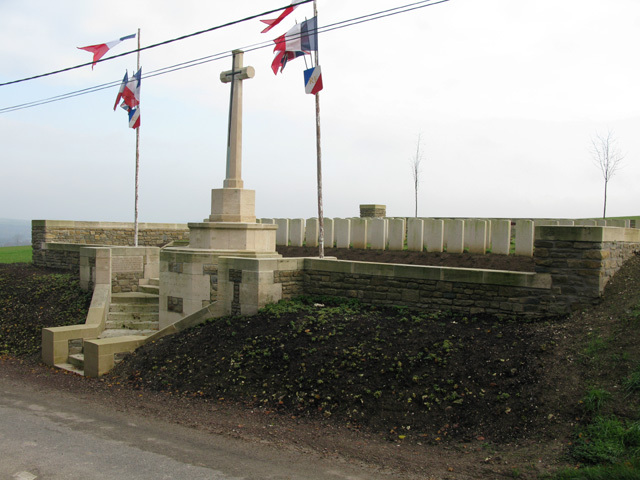 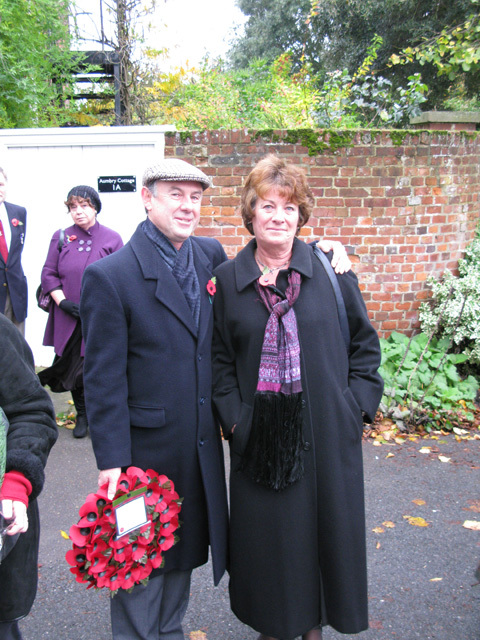 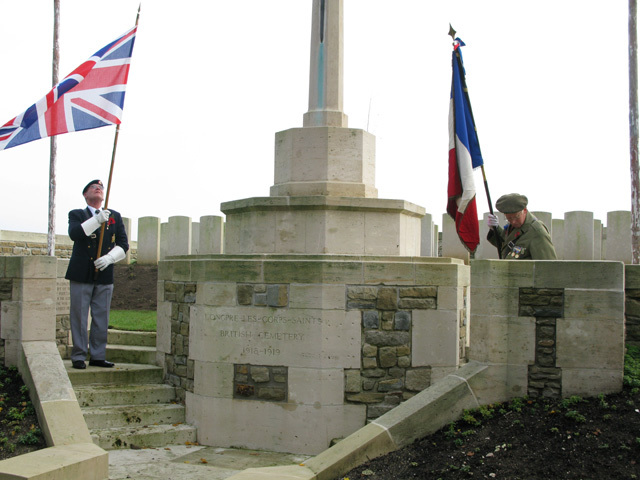 2009 saw another opportunity for an exchange with Longpré for the Remembrance Sunday and Armistice Day ceremonies. 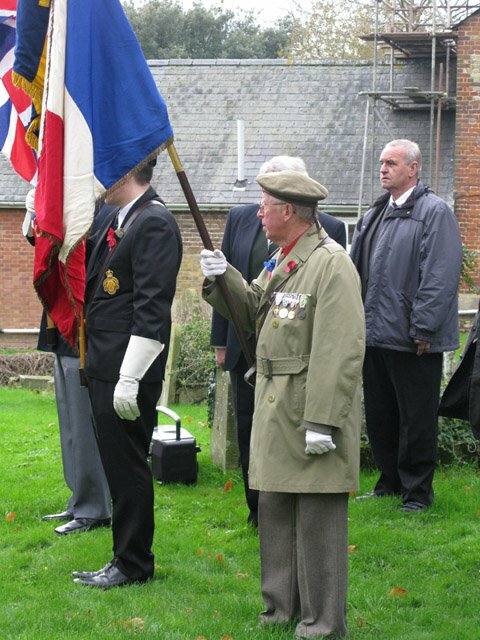 A delegation of 7 Longiprats arrived at 10:15 on Sunday 8th November to join us for the Remembrance Day parade and church service at St Mary's church. 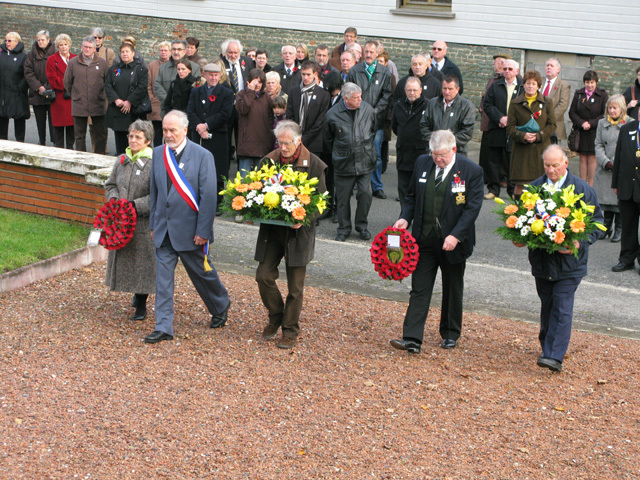 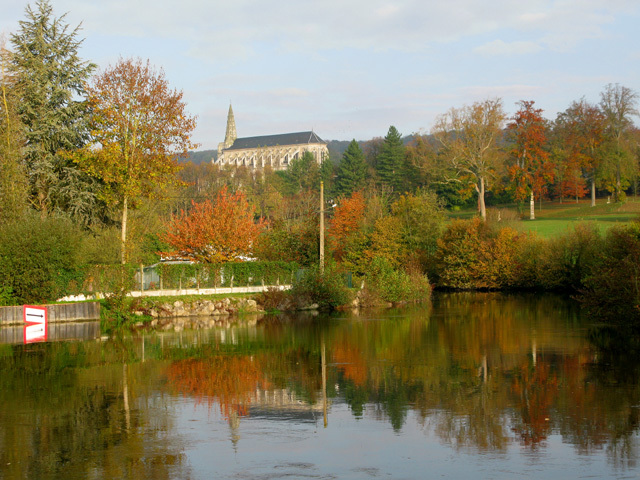 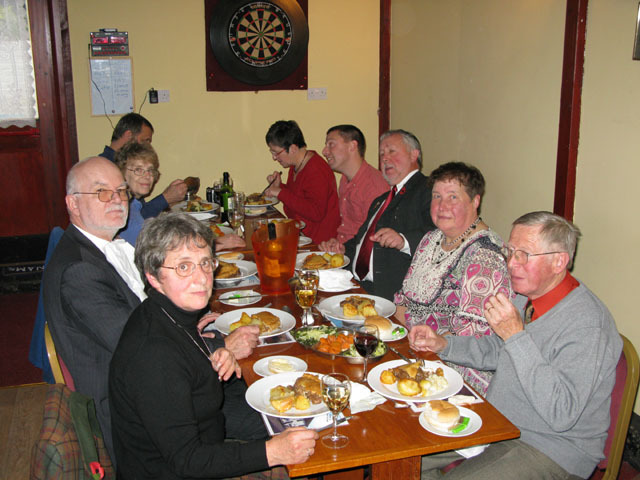 Together with Jean-Marc (the President of Longpré twinning) and his wife Patricia, were Francoise and Patrick, Yvette, and ancien combattant Michel and his wife Annie. 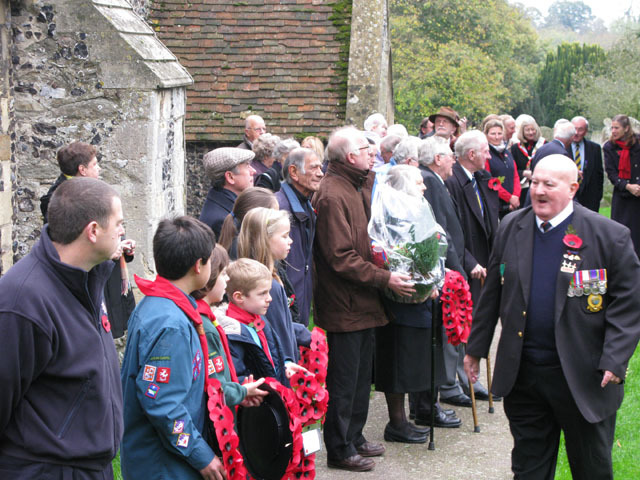 The various services and groups including the members of The Royal British Legion (Eastry Branch) representatives from the Fire Brigade, Scouts, Guides, Brownies, Cubs, Beavers, members of the WI and Parish Council together with the representatives from Eastry and Longpré Twinning Associations gathered in Church Street before parading to the churchyard and gathering at the cenotaph. 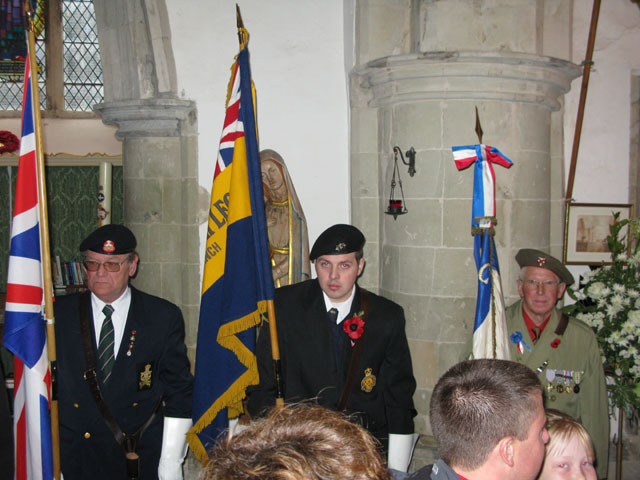 The names of the fallen were read aloud by Reverend Diane Deer and wreaths were laid, following the minute of silence everyone made there way into the church. 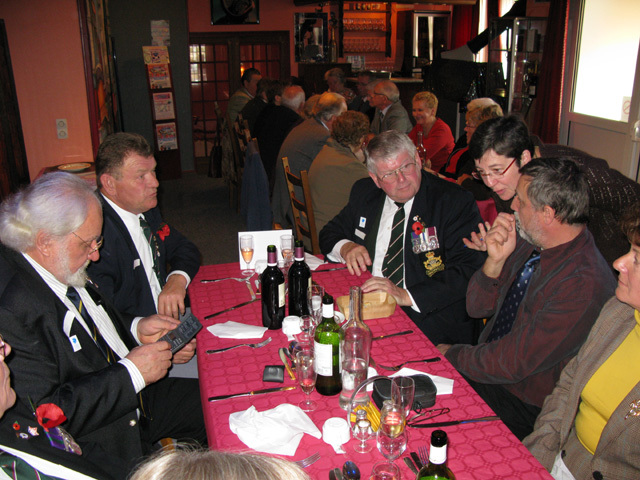 After the service, our guests from Longpré were taken to the 5 Bells where we had chance to catch up on the news and chat before 24 of us sat down for a three course dinner in the Old Fire Station at the back of the pub. 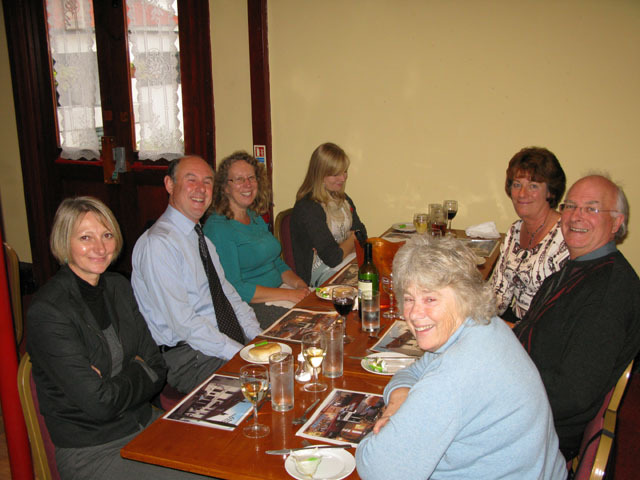 After the meal, Teresa and Graham kindly invited everyone to their house for tea, coffee and cakes. 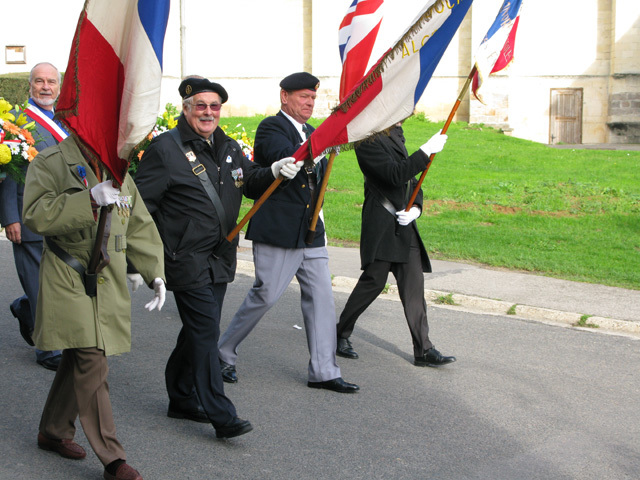 The time all too soon passed and the people from Longpré had to set off to catch the ferry. 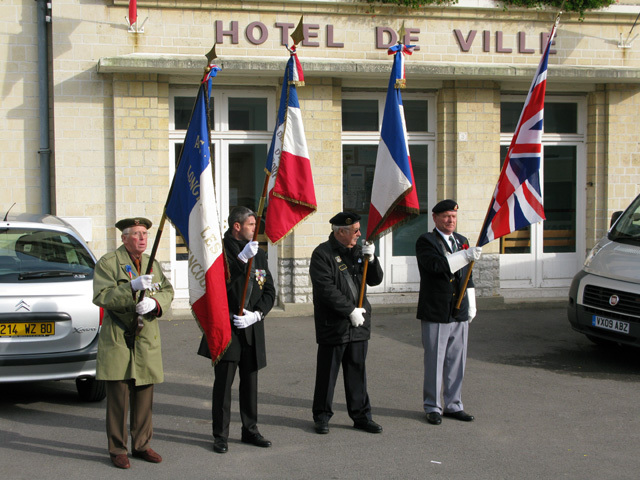 A text received from Jean-Marc the following morning lat us know they had got home safely and they were all agreed that they had thoroughly enjoyed the day and were looking forward to our visit on Wednesday. 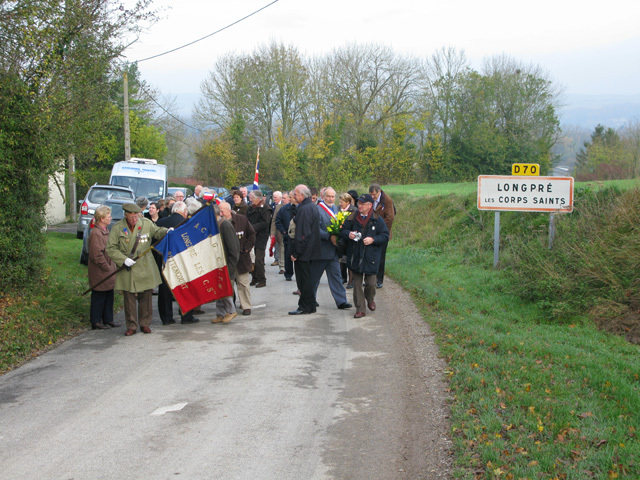 An early start was required to guarantee to reach Longpré in time for their ceremony due to the 1 hour time difference. 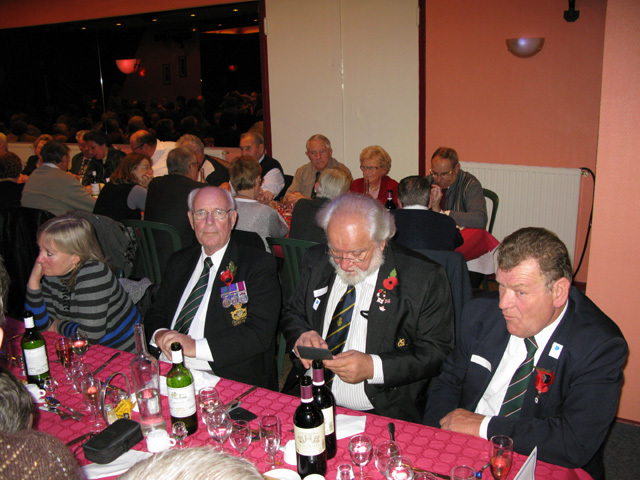 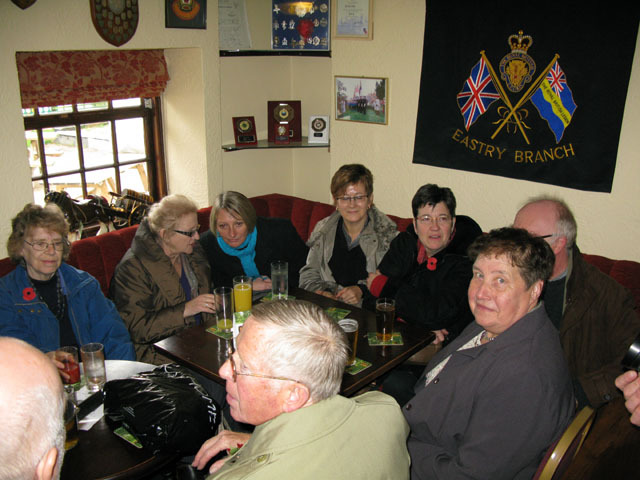 We had hired a minibus this year as we were taking with us several members of the Royal British Legion for the first time. 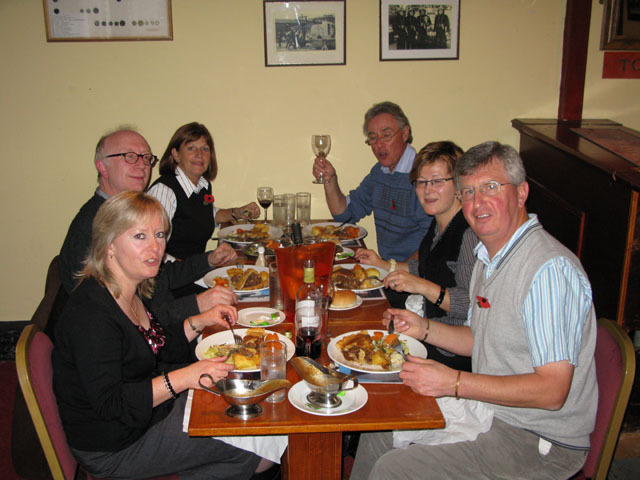 The journey went without a hitch and we made good time, we were met at the motorway exit by Jean-Marc and Patricia who had arranged a small diversion from the expected itinerary. 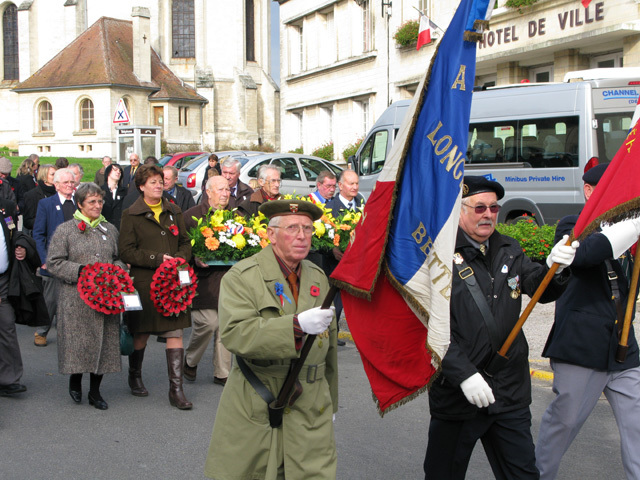 Our minibus followed them to the outskirts of the village of Long where we were met by several of the Longpré 'twinners'. 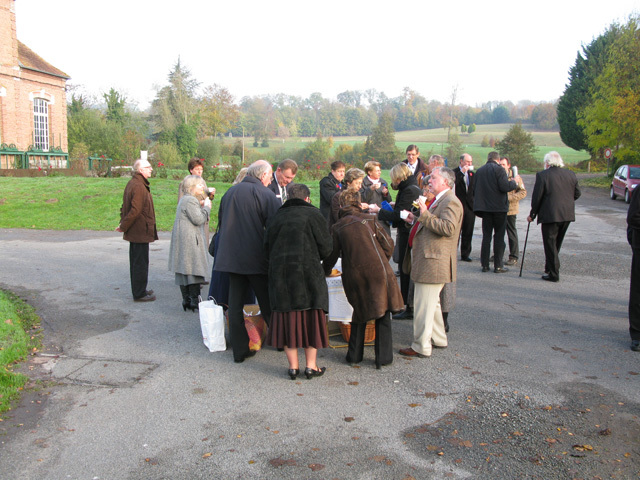 Within minutes of our arrival they produced tables, flasks of hot coffee or water for tea, slices of cake and a gift for each and every one of us. 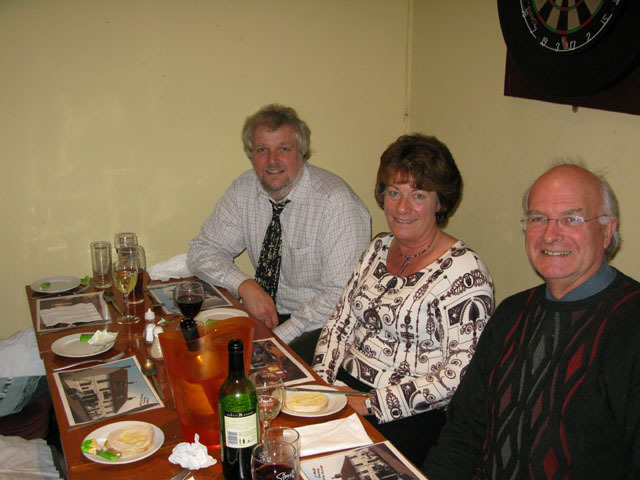 Hand dyed silk scarves neatly wrapped in cellophane for the ladies and a bottle of wine each for the men which was all a most welcome surprise. 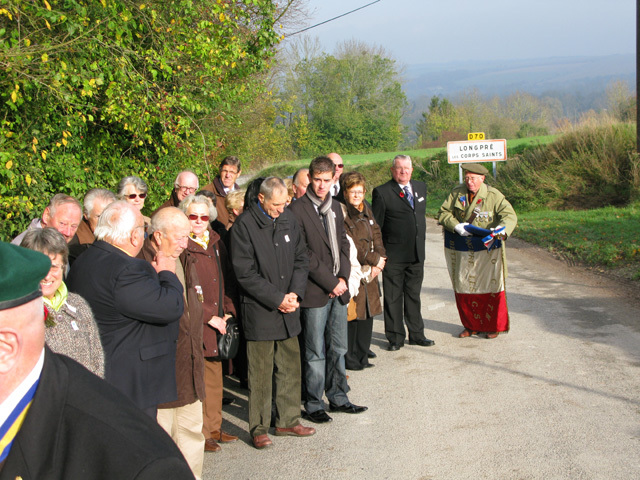 The reason for the diversion to Long was to commemorate the crew of a Lancaster bomber which had ditched on operations during the war. 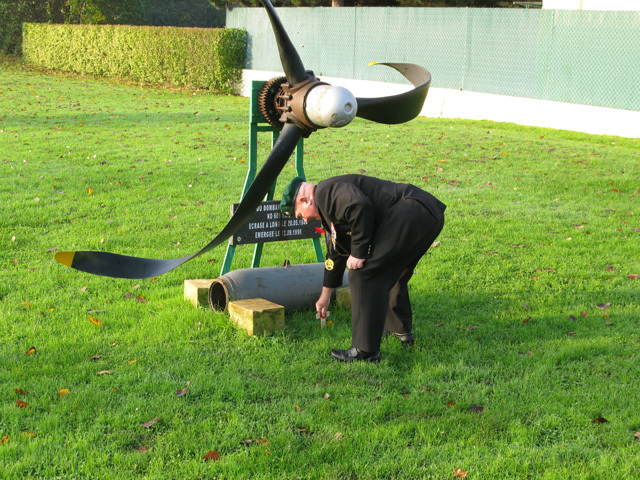 The plane had come down in bad weather in a lake a short distance away and had only recently been discovered and salvaged. 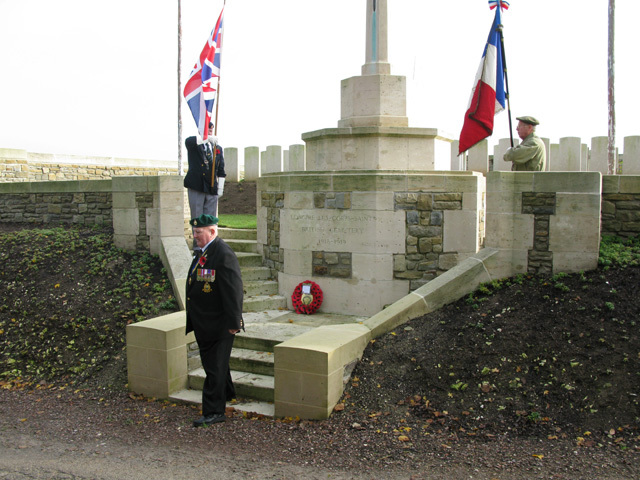 The place was marked by a propeller and plaque, the bulk of the salvaged plane had been removed for possibly reconstruction, and after the placing of a poppy cross at the site and the observance of a minute's silence, we moved on to Longpré to join everyone else for their ceremony. 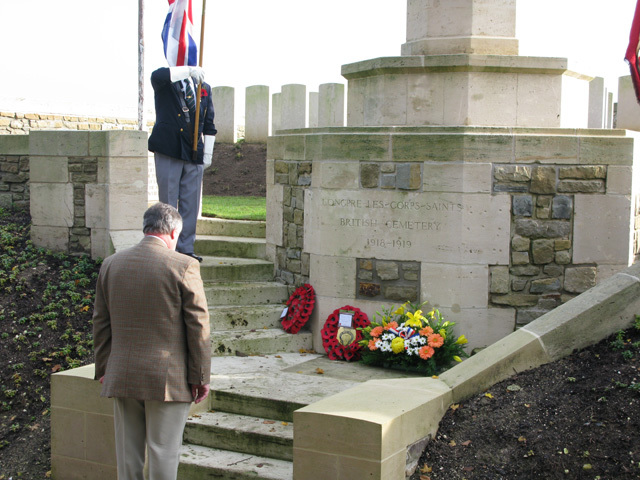 It had been our intention to take a bugler with us for our visit to the small British and Commonwealth WWI cemetery but despite the valiant efforts of our chairman, Terry, we were unable to arrange this, so a recording of the last post was played and Tex Rickard recited the traditional lament "We shall remember them". 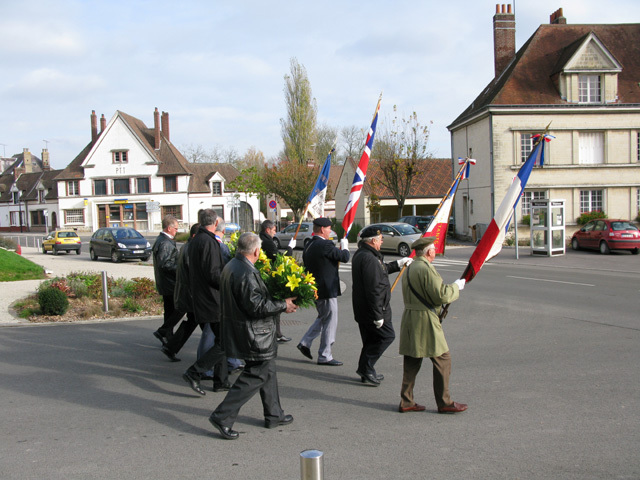 From here we returned to the centre of the village and gathered outside the Hotel de Ville before making our way to the church. 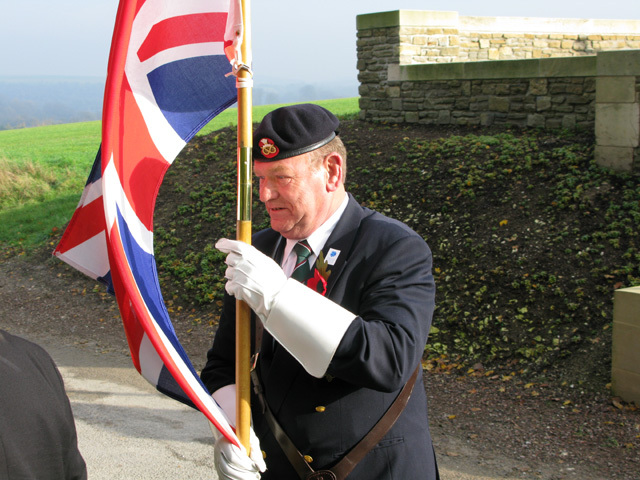 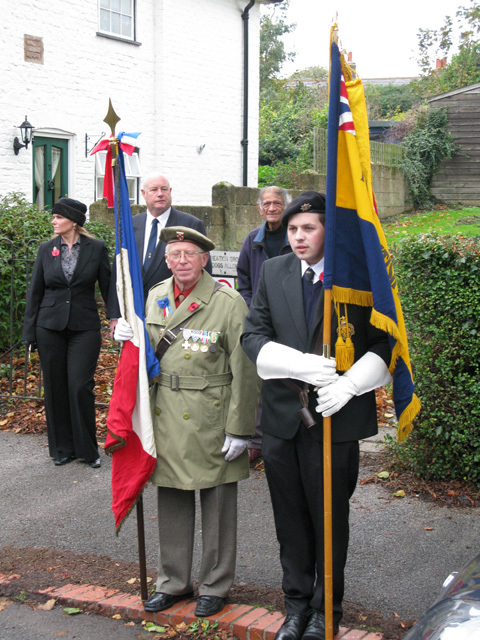 The church service was followed by the traditional procession around the village to the two main memorials, where wreaths were laid and speeches made. 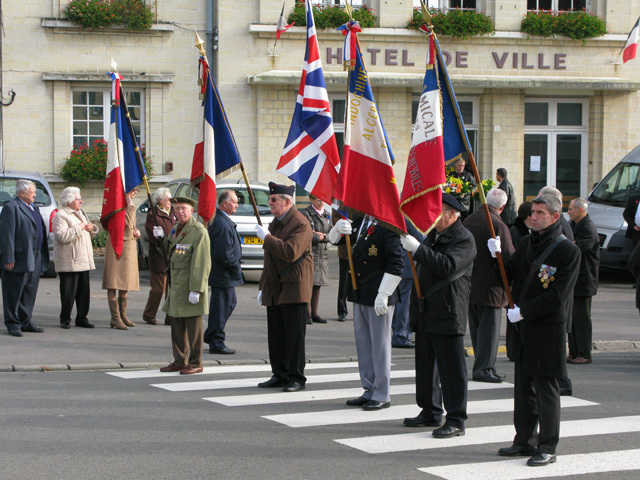 The formal ceremony over, people returned to the Hotel de Ville where a reception had been arranged, this was an excellent chance to catch up with friends met only at previous Armistice gatherings. 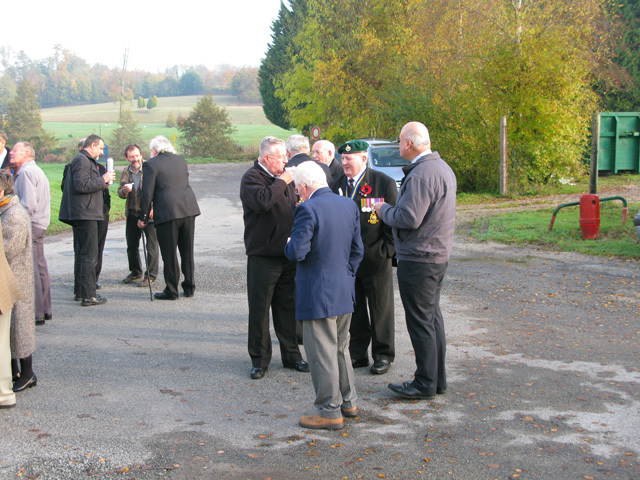 For the afternoon we were most privileged to be invited to attend the " Dejeuner Des Anciens Combattants" at the Restaurant du Canard in the nearby village of Hangest-sur-Somme. 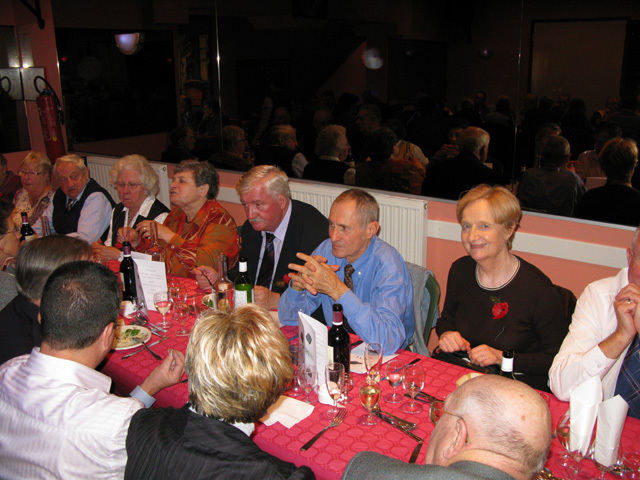 This was a marvellous gathering of representatives from 4 villages who hold this dinner every year. 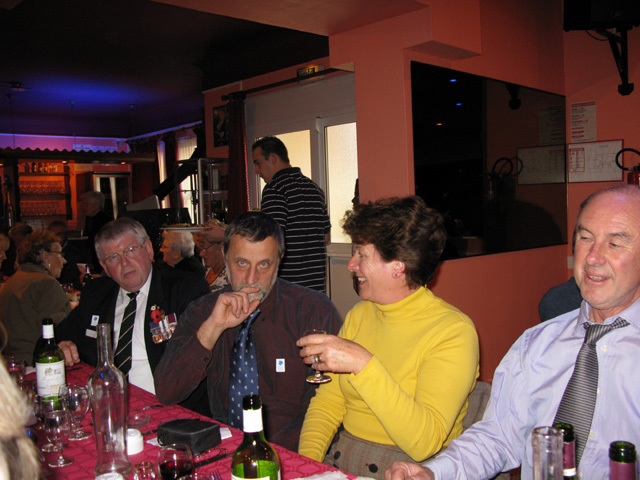 In true French style the menu was a triumph of good food, six courses, excluding an aperitif, the coffee and a digestif !! 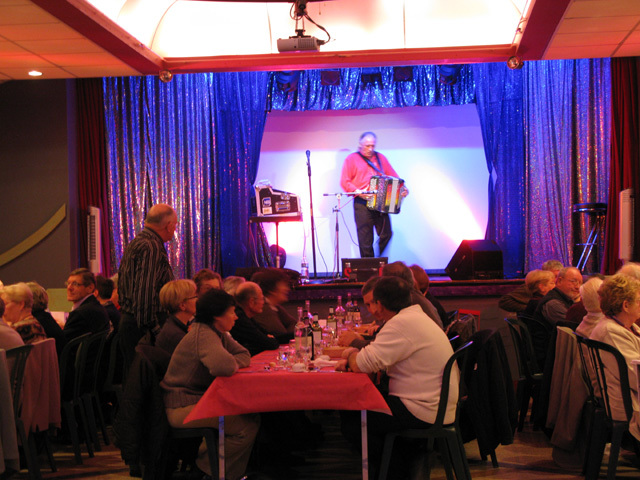 The meal was accompanied by dancing to the very French sound of an accordionist, and lasted until 6:00pm which is when we had to leave in order to get back in time for our crossing on 'Le Shuttle'. 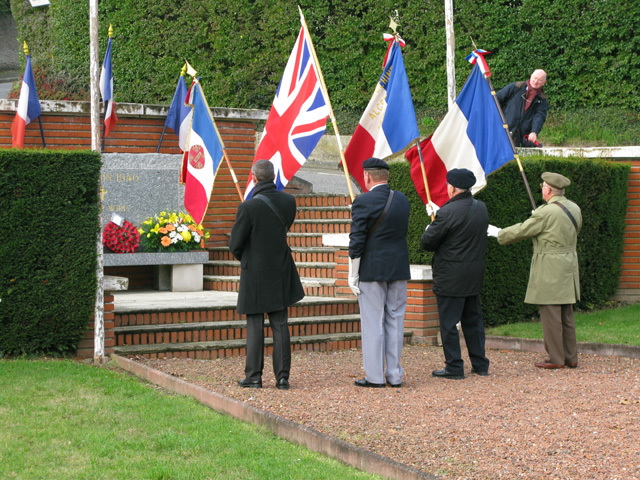 It had been an exceptionally good day and one everyone will remember, the newer twinning members and our British Legion guests all remarked about the warmth of their reception and kindness and generosity of our hosts. 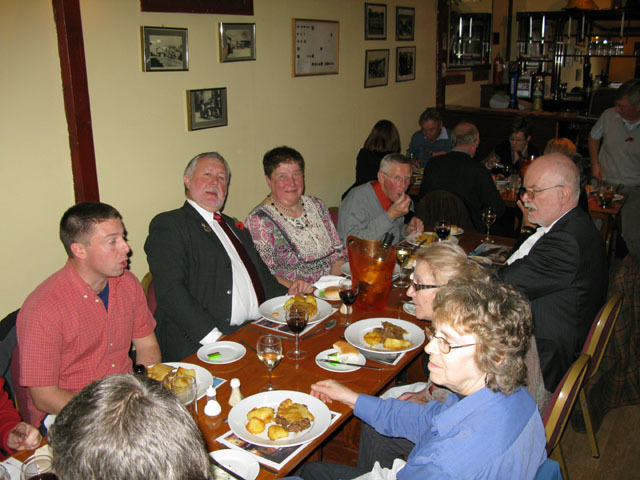 A good day indeed! 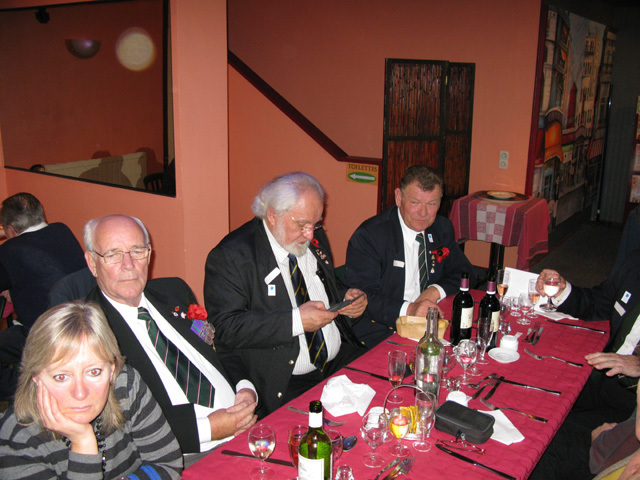 See below for photographs of the two days (Captions to follow, click on thumbnail to see larger image, use the browser 'back' button to return to thumbnails).